Frippery Digits: IsaDora Graffiti Nail Top SUBWAY GREEN! I found the formula of the base white polish to be a bit thick, but I'm used to working with those kinds of polishes. 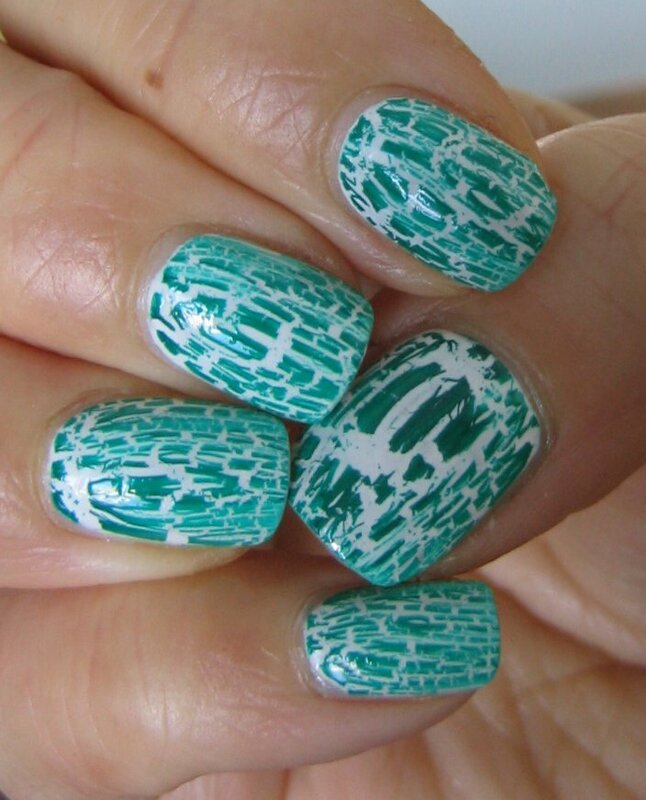 The Graffiti Nail Top was thin and super fast drying. 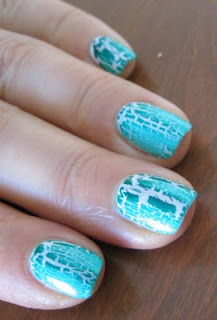 If you want to read up on what's what with crackle polishes check out this fabulous masterclass by Lacquerista! 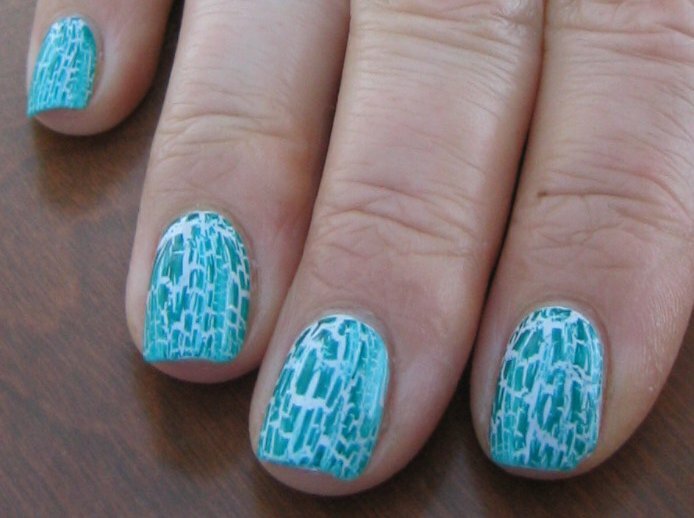 I might have had to try this manicure a few times before it turned out but because of her post I got it on the first go! The Subway green is sooo beautiful! Great pick sister! Thanks again! And thank you everyone for popping by! Have a great week! So fun! I was fortunate to get this green in a swap but haven't tried it over white yet. 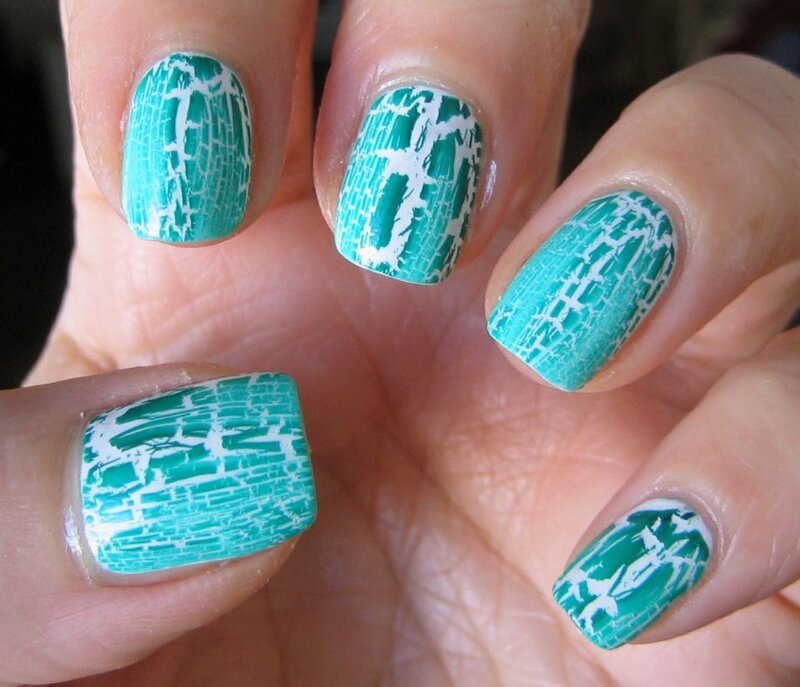 I love the color of this crackle. and how it crackled, the little lines. This is the prettiest crackle polish I've seen, that color is so beautiful<33 Where can you buy these polishes anyways? I've seen them showing up on a lot of blogs lately ..